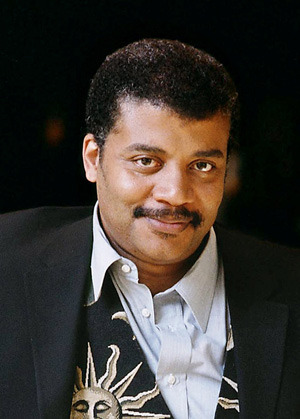 Astrophysicist Neil deGrasse Tyson loves to share his passion for life and science with as broad an audience as possible. 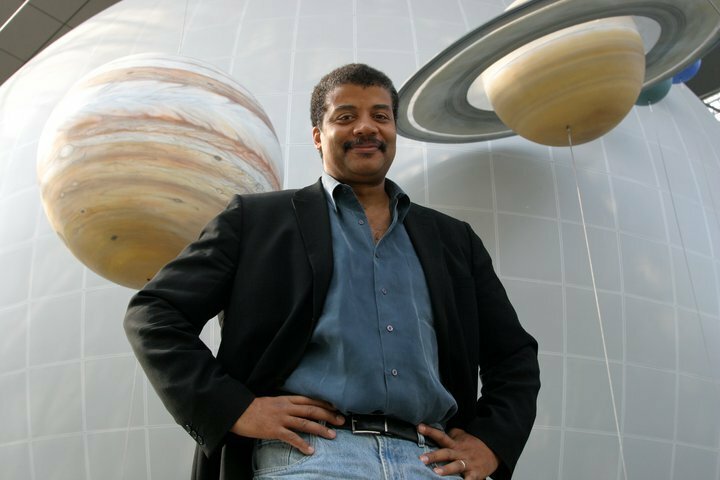 Whether directing activities at the Rose Center for Earth and Space at the Hayden Planetarium in NYC, or having a hilarious conversation on The Colbert Report about the legitimacy of Pluto as a planet, Neil illuminates the world of astrophysics and has a ball doing it. Neil is equally enthusiastic about music, and is continually inspired by the great blues and jazz players he loves. The following is an excerpt of a conversation I had with Neil in his office at the Planetarium in 2006 in an interview for my Judy Carmichael’s Jazz Inspired radio show. I asked Neil about the much discussed connection between music, math and science. 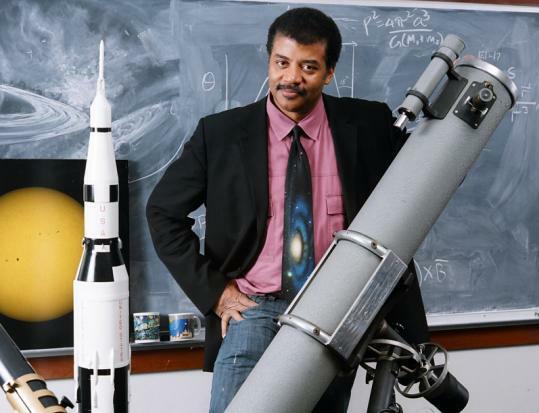 Neil deGrasse Tyson: There’s a lot written on that subject, of course. Perennially, there are people who explore the universe looking for the music of the spheres. Some of that I think is a little over-sought. The universe has its own agendas and they don’t necessarily include music. I think what’s more fascinating is the number of scientists who have a deep, long and significant interest in music, either as performers or as very serious listeners. By far the largest collection of classical music I’ve ever seen under one roof, that was not a radio station, was a colleague of mine who had an entire room just devoted, back then, to his albums – with thousands and thousands and thousands of albums. I asked, “How long will it take you to listen to all of these?” He said once every ten years he listens to it all and it takes him about a year or so just to remember everything that is there. This was an astrophysicist. You wouldn’t have guessed that. So perhaps there’s some overlap between that which stimulates the mind when you think about music and that which stimulates the mind when you’re thinking about the frontier of cosmic discovery. Judy Carmichael: I know lots of medical doctors as well, who are big into music. They are always coming up and telling me that they were going to be a musician or made their way through medical school playing. Do you play yourself? No, I don’t, not well. [laughs] So, the answer is no, a flat-out no. But do you do it for your own amusement? I wish I were good at it. Because I would then sort of entertain myself with it and not always have to listen to other performers. But other performers are professionals at it. And for 99 cents or a few dollars you get to hear them. I’d rather listen to them than my poor attempts to imitate them. Surely you understand that. Ah, that’s funny. Well you’re really passionate about music. I can tell you just light up. When we first met and we began talking about music, you’re whole gestalt changed. You were like, “Yeah!” Let’s talk about it. Was it a musical household that you grew up in that got you into this or were you drawn to music on your own? How did that happen? My parents always had music on in the background of all kinds. It was jazz and classical and a lot of, sort of, pop singers at the time or at least from their generation. So that would have been Sinatra and Harry Belafonte, folks like that. There’s this gap between that music and my coming into my own style of what I like. And then I returned to what they liked. So I find myself listening to all the tunes that they had played while I was growing up between age zero and twelve. So it has come full circle. And now I can claim their generation of music. My parents are now pushing eighty. Back when they were in their social prime, when they were in their teens or twenties, I now claim a lot of that music as part of the portfolio that I carry around on my computer and listen to. That’s interesting. And do they feel vindicated? [laughs] Definitely. They say, “Oh, he’s finally coming around.” It’s funny, I’ll just learn a fresh tune that’s an old standard, apparently. And if they hear it they’ll just start humming along with it. They know the words and I used to think they were just making it all up. Of course, it’s all real. So you thought you were so hip when you discovered this and they already knew it. Well you’re a big blues fan. I’m very excited because not a lot of people on this show have talked about blues. They’ve talked a little bit. They’ve scratched the surface of blues but you’re heavy into blues. Well heavy, not in terms of how much blues I own but in terms of simply its effect on me when I hear it come on the radio or when I play it on my own system. If I’m driving a car and I stumble on a radio station that’s playing the blues, particularly the kind of blues where you’re feeling the pain of the person singing, I’ve got to just pull over into the right lane and go real slow. Or maybe just pull off the road entirely and just listen to the entire song because it is so emotionally wrought with pain that you can’t do anything else but commiserate with that pain. And for me, that’s what music should do. It should take your emotions to places that maybe you can’t get there yourself or maybe you are already there and you seek a resonance with the music. I rate myself as a pretty happy guy, so why would I even like the blues? It’s because it’s a deep reminder that not all the world is sunshine and blue skies. Without that reminder, you lead a deluded life, a completely misrepresentative understanding of how most of the population of the world lives. That’s definitely the case. As is true with most music, you’re transported either to a moment perhaps when you first heard the song or at a time when some event in your life was most resonant with the themes or the emotions of that which is played. For the blues, I like reflecting on – let me put it this way: When you do science, there’s emotion when you make a discovery, when you’re hot on the trail of some new idea about how the world works. But for the most part there’s a lot of bookkeeping to make sure your data is sound and you’re not making mistakes. So there’s a lot of science that thrives only because it is done without passion, without emotion. Because emotion is one of the strongest forces to interfere with your ability to evaluate and understand and interpret data. That’s why scientists have this stereotype of being dispassionate. It is a fundamental part of so much of what has to happen to be a good scientist. So, there are times when I’m doing that. And then when I’m done or I’m ready to take a break, I’ve got to reach out and feel what it is to be alive again. And nothing does that for me like the blues. That’s wonderful. I also think, as you’re saying this, I’m struck by the similarity of jazz and what you do. What I mean is, you talked about maybe collecting data, having all of the structure there, all of the knowledge there. Then if you’re really working towards discovering something, you have to have all of that in place, then completely let your emotions go, or your sensitivity, to create something, or be open to what you’re trying to discover, which is definitely what happens when you’re playing jazz. That’s a perceptive point. Of course, the notes are there for the taking. How many notes are there? There are not that many notes. Yet, not everyone can put them together into music. And there’s a lot of data out there, and not everyone can put it together into an actual acute understanding of how the world works. So that analogy is entirely resonant with what’s going on. Most of my colleagues, myself included, when we’re at observatories-which is becoming a less common thing to do, to take a pilgrimage to the observatory to get your data. Nowadays, the telescopes are operated by a single telescope operator. All they do is plug the business end of the telescope into the computer and you can be anywhere on earth and you’re connected to the telescope. So the pilgrimage, one of my great regrets is that there are many fewer trips to mountaintops now. But I can tell you that when I would be living through the night, nocturnally, as astrophysicists will do, because the starts come out at night. [laughs] One star will come out during the day. It’s called the sun. But you don’t need a big telescope to see that. Sometimes you get sleepy, sometimes you need a pickup and good music will always do it-always. So we would always compare what the portfolio of music that we’d all bring to the telescope dome. The telescope dome has this acoustic resonance that goes on within the dome. No matter how bad your playback device is, the sound comes out much richer because of the geometry of the telescope dome itself. Oh yeah. And it’s just you, the music and the cosmos. See, I always hear music when I look at the stars, when I look at the heavens, when I go out and look at that knowing very little about it. But I always hear music and I don’t know that that’s just me being a musician, but it’s all a great symphony to me. Not only can no one hear you scream, no one can hear you play music either. So the music has to be all in your head as you see the planets undergoing their stately journeys around the sun. Not only do planets move around the sun, the sun, among other stars, moves around the galaxy, galaxies move in the universe. So it is quite a symphony or one might even call it a ballet, choreographed by the forces of gravity. You mentioned Miles Davis to me before, because you loved the space between the notes, which is something I’m very interested in. Talk about that. [laughs] I can’t believe you’re saying this. Wait, I don’t mind embarrassing myself here. So I said, “Alright, let me put it on a tape and just play it in the background while I’m cooking dinner. You know, just maybe there’s something I’m missing.” And then one day I was making eggs or something and I dropped the spatula because the music had finally penetrated. There, I called on my defenses – this wall I had had up that prevented me from understanding or hearing or listening or feeling what was out there, what these performers were trying to tell me. Trying to tell me, right? Because he wrote it for me, there it was. Because when I dropped my spatula, those notes were communicating with me. Not only were the notes communicating with me, the space between the notes was communicating with me, particularly in “Flamenco Sketches.” Again, I just had to stop, I turned off the burner and I sat down on the couch and I just listened. I talk to audiences about the quality of silence in a room. People always talk about the acoustics, but for me, as a performer, I’m feeling the quality of silence that that audience gives me. Some better than others, some very intense, some you hear a little bit of something and certainly it mixes with the acoustics But I play very differently, depending on the silence, and I know other musicians do too. I play with the space differently if the quality of silence is really juicy and inviting, because then I want those notes to have all that space. At the risk of overstretching this sentiment, the universe is mostly empty space, punctuated by remarkable expressions of nature, be they exploding stars, colliding galaxies, comet impacts on planet surfaces. So, the space is the stage and the objects within the space are the actors. So when I get into a deeply performed jazz piece that takes full advantage of what the silence can do, I’m transported out in space. To listen to the entire conversation with Neil deGrasse Tyson, along with the music that inspired him, or to hear interviews with other notable people inspired by jazz, go to Judy Carmichael’s Jazz Inspired web site.